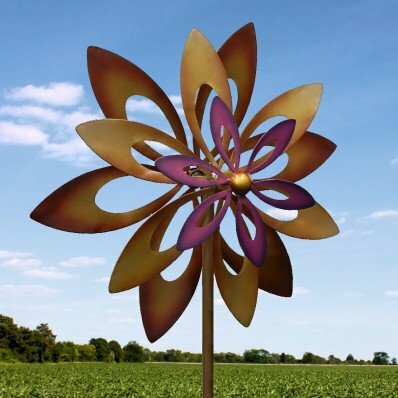 Beautiful outdoor windmill features three sets of petals that spin in the wind. Center petals a beautiful purple. Stands 7 feet tall and is a beautiful work of art.